Ultrasonic Pulse Velocity (UPV) testing of concrete is based on the pulse velocity method to provide information on the uniformity of concrete, cavities, cracks and defects. The pulse velocity in a material depends on its density and its elastic properties which in turn are related to the quality and the compressive strength of the concrete. It is therefore possible to obtain information about the properties of components by sonic investigations. 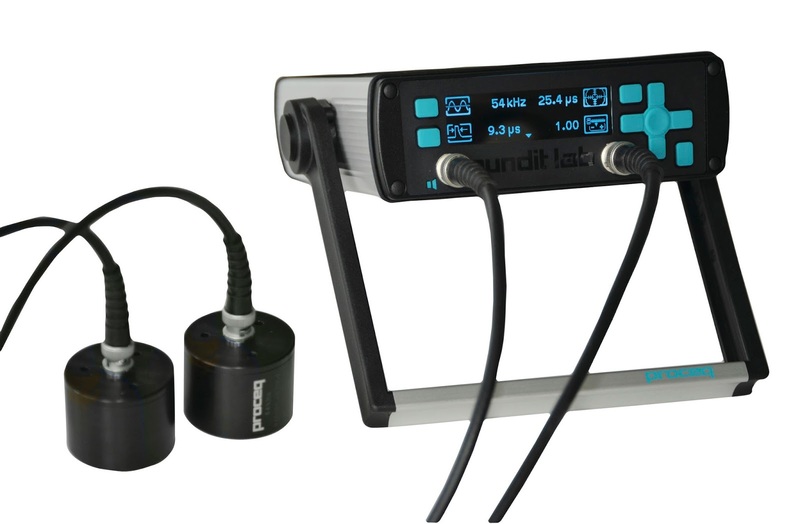 Proceq offers the most versatile instrument for ultrasonic Pulse Velocity (UPV) testing of concrete – the Pundit Lab, the newest member of the famous Pundit family. Along with the traditional transit time and pulse velocity measurement, this ultrasonic concrete testing equipment offers path length measurement, perpendicular crack depth measurement and surface velocity measurement.